Bright Dreams Journal is a periodical published by Gary R. Hess (formerly under the pen name “Christian Weilert”). Gary grew up seven miles outside a small rural town called Humboldt, Kansas. His love of poetry grew as a teenager when he went through some personal hardships, including the death of his childhood friend, lack of meaningful relationships of all kinds, and social anxiety. As an adult, he continues to write and learn about the craft of writing. After studying and living in Texas for five years, Gary decided to travel to Australia, the Philippines, and Indonesia and found love in culture and differences. 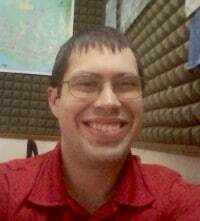 Today Gary R. Hess is an ESL instructor in Asia helping others learn the language he has grown to love.